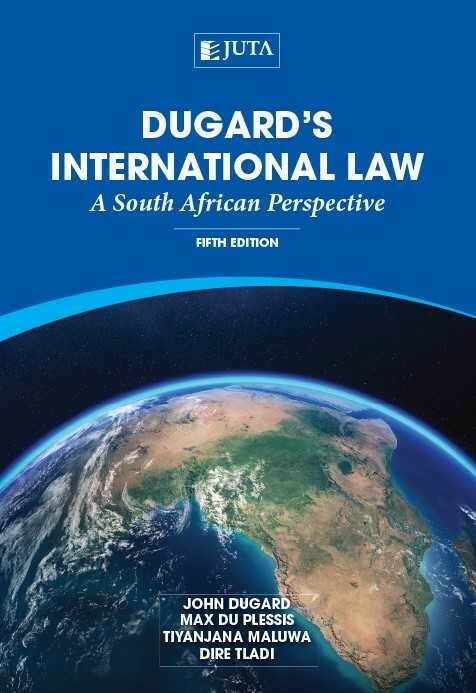 This fifth edition of International Law: A South African Perspective is now titled Dugard’s International Law: A South African Perspective, in recognition of the fact that this work is a continuation of the earlier editions written by John Dugard. The substance of the work has undergone major changes to take account of new developments both on the international legal scene and in South Africa. Dugard’s International Law: A South African Perspective presents a South African perspective of international law. The basic principles of international law are described and examined with reference to the principal sources of international law. This examination, however, takes place within the context of South African law. South African state practice, judicial decisions and legislation on international law receive equal treatment with international law as it is practised and taught abroad. Price is applicable until 30 June 2019 and includes 15% VAT, excludes courier delivery. To buy your copy, click here. Want the latest legal news and views in your box? GoLegal is a leading industry news and information portal for the South African legal sector, catering to attorneys, corporate counsel, legal scholars, policy makers and other corporate and legal interest groups.